Facebook Inc (NASDAQ:FB) recently launched the service of “Instant Articles” in India, marking the push in the Asian region. The company is looking for expansion of Instant Articles Push in this region, eyeing the huge user base. It is interesting that Facebook is giving a good amount of attention to the emerging economies of the world (such as India), so as to implement the new products or features. Facebook has also started advertising the job openings in Singapore through Asia-Pacific headquarters so as to develop such articles. These job openings are meant for contractors who, in turn, will collaborate with new publishers for this purpose. The publishers who will make use of the Instant Article services will be given a direct support for the same. The jobs are restricted to candidates having spoken proficiency in Vietnamese or Thai languages. Instant Articles are nothing, but the content that doesn’t need any link to the websites. As of now, a Facebook user, to read any content on the site, needs to click on the website link. But, the Instant Articles service will enable a user to see the article material directly on Facebook without any links. The benefit to a user is that it will save their time since the content material shall be available on the news feed directly. Loading through the links is time-consuming while Instant Articles are ten times faster. This service was launched by Facebook in the U.S. in May 2015 while India became its debut Asian country for this service last week. Is India the most lucrative Asian country for Facebook? India is a highly attractive Asian base for Facebook with over 130 million monthly users, followed by Thailand and Vietnam with 38 million and 36 million users, respectively. In fact, India is the second largest market for Facebook, only after its headquarters-country, U.S. Even though Facebook Inc (NASDAQ:FB) wishes to go global, with its Instant Articles feature, but the route to Asia passes through India only. 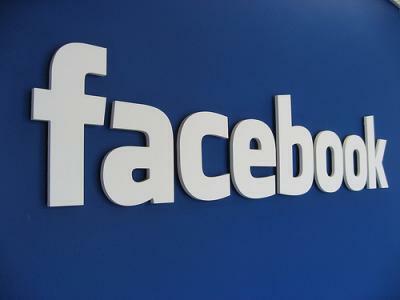 Next articleWill Facebook Inc (NASDAQ:FB)’s ‘Notify’ Prove To Be Twitter Inc (NYSE:TWTR) killer?